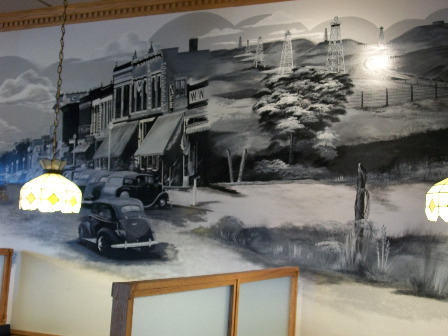 See historic Russell come alive in a mural found at Fossil Station Pizzeria & Pub. Rick Rupp was the artist who helped bring Historic Russell to life! Enjoy a pizza or beer while admiring this beautiful wall full of artwork and history! 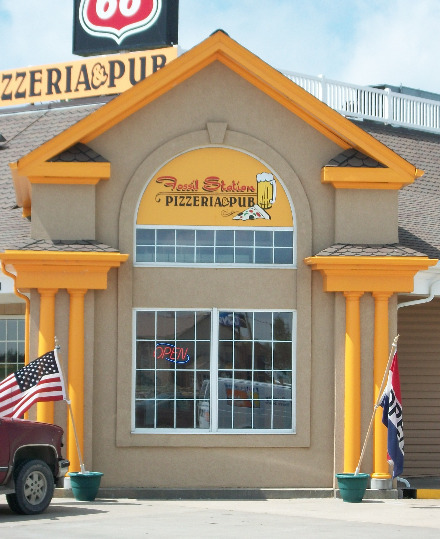 Fossil Station Pizzeria and Pub has been serving delicious pizza since 1996. Open daily 11 a.m.-10 p.m.